Houston's Sharlene Bozeman has a way of infiltrating any area with such intense, complex colors; creating an engaging space. The local artist's colorful paintings permeate the scene as well as the scenes. 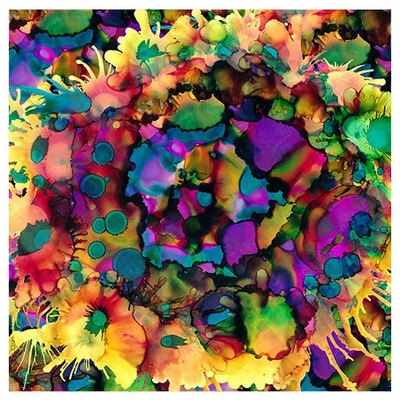 Her combination of bold coloring and intriguing designs are truly entrancing. Much like watching an aquarium, you feel tranquil and almost lost in the movement and array of hues in Bozeman’s paintings. Her father was a cartoonist and drew all the time. Bozeman, who initially doubted her own talent, prayed for a long time for her passion to return. She started painting as a hobby. She experimented with mixtures of different mediums and discovered ink was her favorite. Bozeman explained she blends ink using different techniques and tools to create unique textures and color patterns. She explained her love, spirit, and joy for life are translated onto the paper.